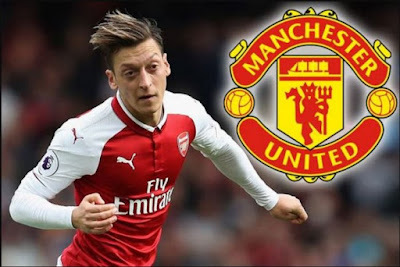 Contract rebel, Mesut Ozil is hoping to reunite with his former boss, Mourinho at Manchester United as he appears reluctant to sign a fresh contract. Mesut Ozil is keen on a shock move to Manchester United. The Arsenal star is out of contract in the summer and looks set to leave the Emirates on a free. And United are interested in bringing him up to Old Trafford. Ozil and Jose Mourinho worked together at Real Madrid and the Sunday Mirror report that the German is keen on a reunion. He is said to have been putting feelers out over a potential move and has been encouraged with the feedback.